A Houston, Texas, based luxury car dealership has become the first luxury car dealership in the US to accept digital coins as a mode of payment. The Post Oak Motor Cars dealership, which mainly deals in Bentley, Bugatti, and Rolls-Royce and is owned by the same billionaire owner of the Houston Rockets Tilman Fertitta, will henceforth be accepting Bitcoin and Bitcoin Cash as payment for the purchase of its luxury cars. The dealership mainly caters to an elite clientele including athletes and celebrities. This announcement was made by the owner of the dealership himself through his Twitter handle (@TilmanJFertitta on Wednesday. 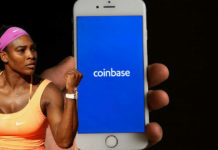 According to Fertitta, he decided to adopt digital tokens as a method of payment in order to enhance customers’ experience at the Post Oak Motor Cars dealership. He said that his interest was sparked by the continued rise of Cryptocurrencies especially Bitcoin. He added that with the Post Oak Motor Cars being a luxury dealership, he is dedicated to ensuring that his customers are able to enjoy the very best in customer experience available and that this mode of payment will also enable interested buyer from anywhere in the world to purchase a luxury automobile in an easy and fast fashion. All crypto payments to be made to the Post Oak Motor Cars dealership will be facilitated by Bitpay. Sonny Singh, Bitpay’s chief commercial officer, has stated that most people making significantly large purchases usually prefer using Bitcoin to do so, which currently stands as the largest digital token by market capitalization as it makes the whole process more convenient and easier. Fertitta has been very vocal about his support of Bitcoin. 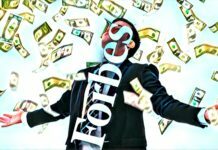 The billionaire announced at the beginning of the year that his businesses, which are scattered all over the globe, will be adopting cryptocurrency as a method of payment. He purchased the Houston Rockets in 2017 at a whopping $2.2 billion and also hosts the Billion Dollar Buyer show. 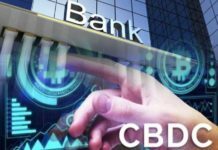 At the time of the announcement, the mogul said that all that was missing was for Bitcoin to be considered for insurance by the U.S. Federal Deposit Insurance Corporation and in this way, its adoption would be increased. He was quoted as saying that though it was not possible to withdraw a million dollars from any bank, paper money was still insured by the FDIC. Fertitta added that until Bitcoin was considered officially as insurable, its adoption would be somewhat limited. He compared the current state of the crypto space with that of the internet’s early days. He, however, disagreed with the insinuation that, much like what happened in the software industry, Bitcoin and some crypto-based firms would fall through the cracks. Fertitta has not been the only billionaire to be attracted to Cryptocurrencies. Mark Cuban, fellow billionaire, and owner of the Dallas Mavericks has also announced that the NBA is setting itself up to facilitate the payment of tickets via Bitcoin for the 2018-2019 season.